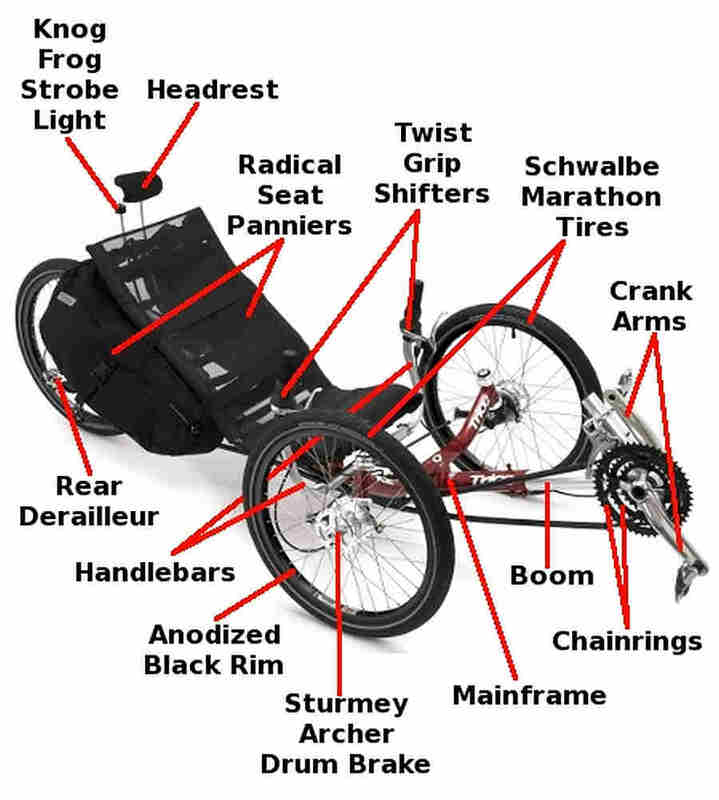 In order to help us know more about tadpole trikes I thought it might be helpful to illustrate the various components or parts of a trike. 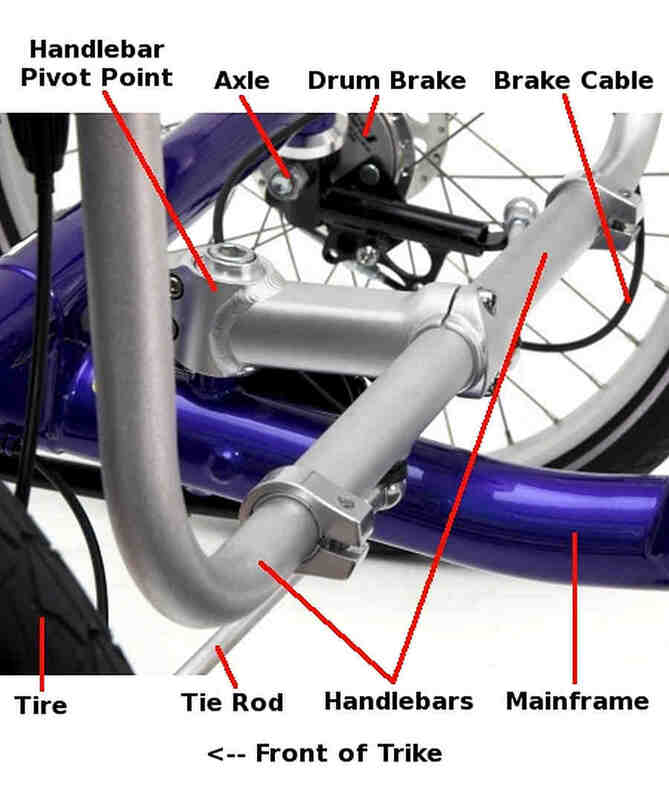 So here are several images with those various components/parts marked. 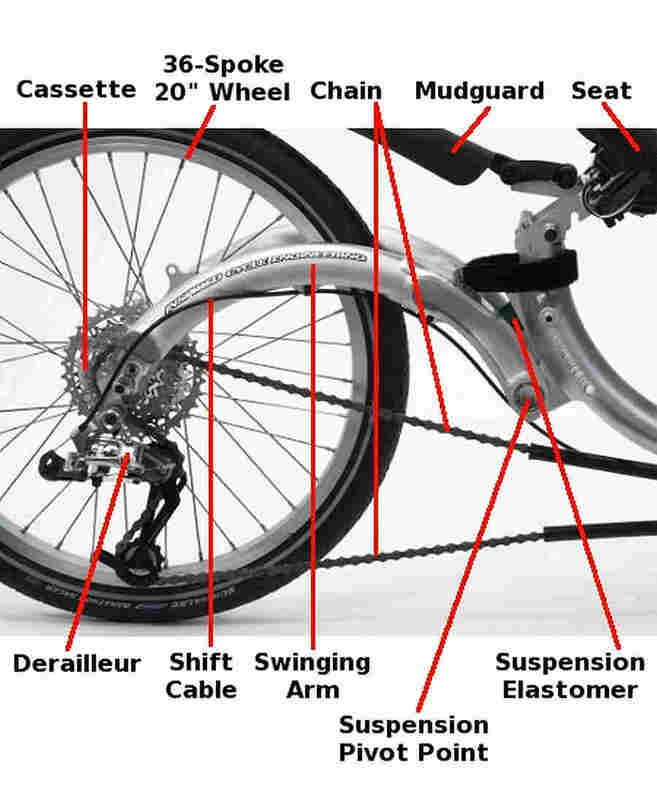 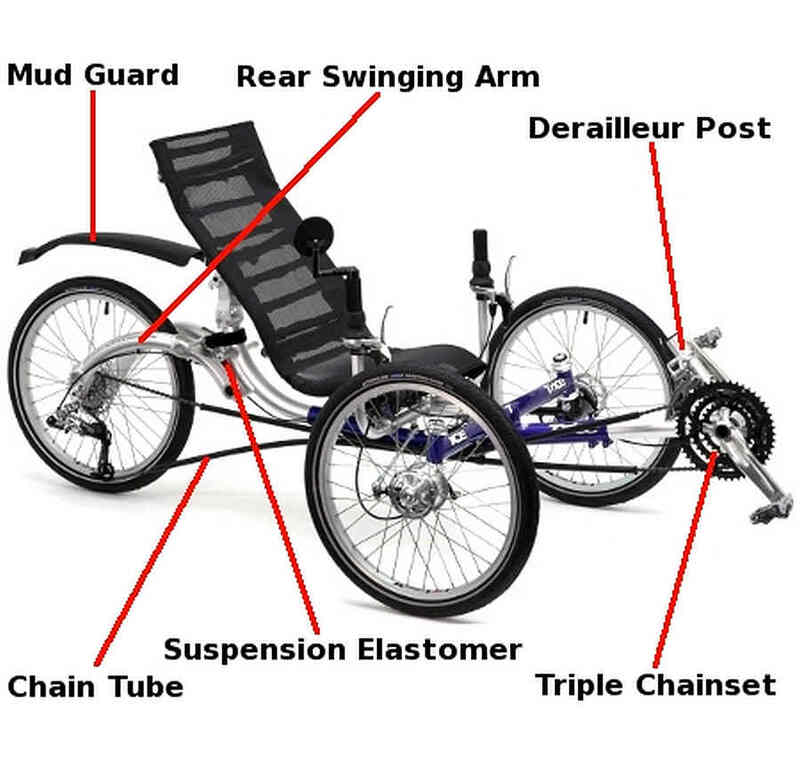 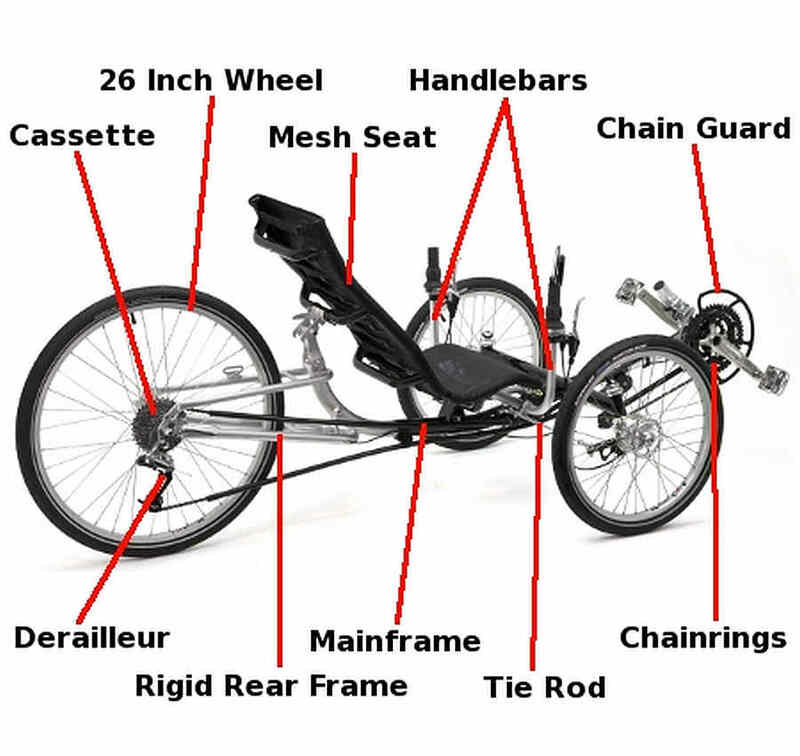 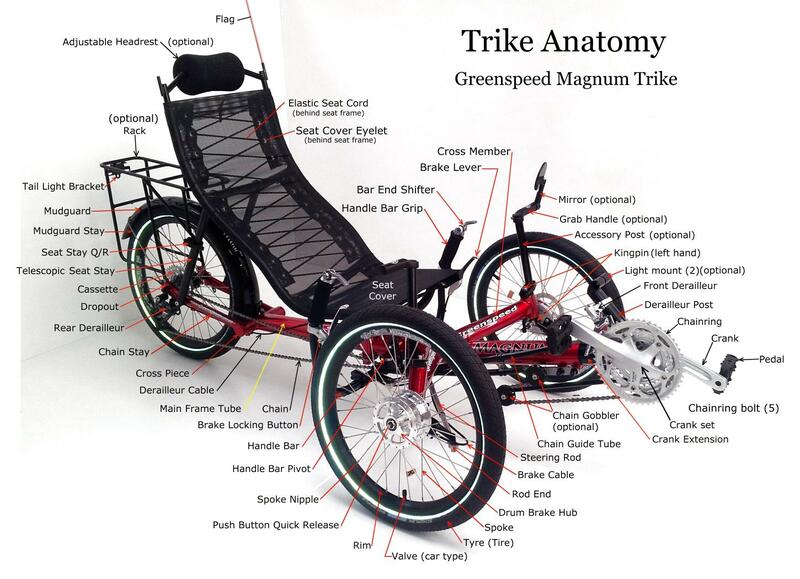 Both Greenspeed and ICE trike manufacturers have been good enough to provide images of the anatomy of their trikes. 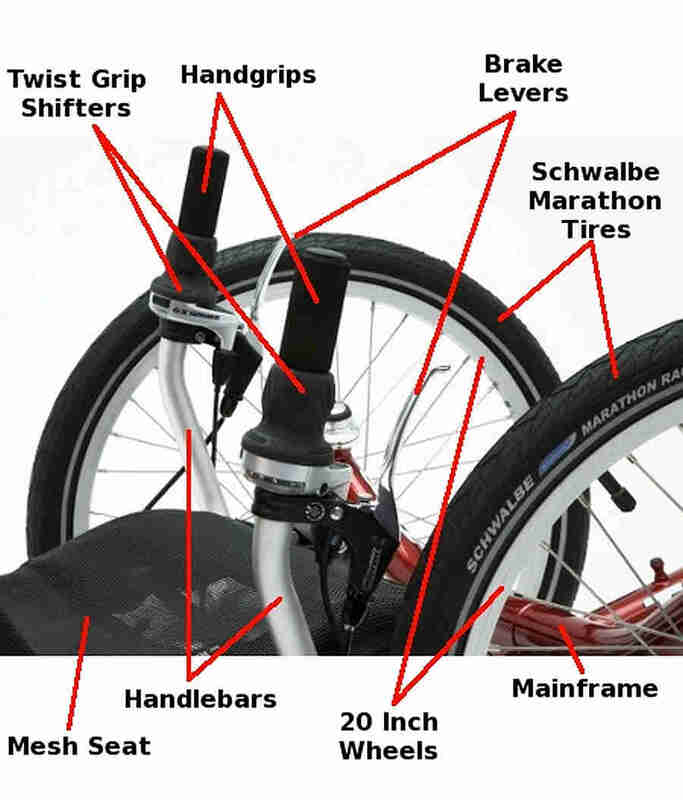 Keep in mind that you can click on the images to have them open up in their own window enlarged so you can see them in greater detail. 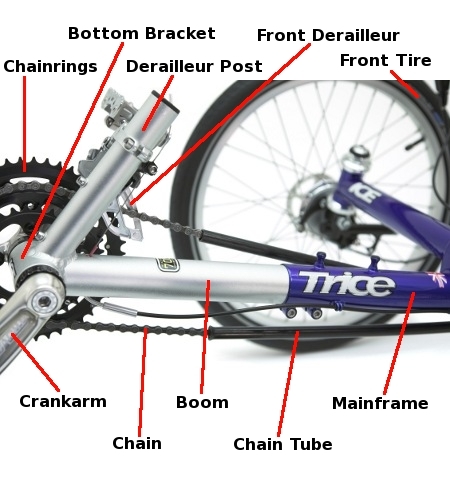 Just use your browser’s back button to return to this page. 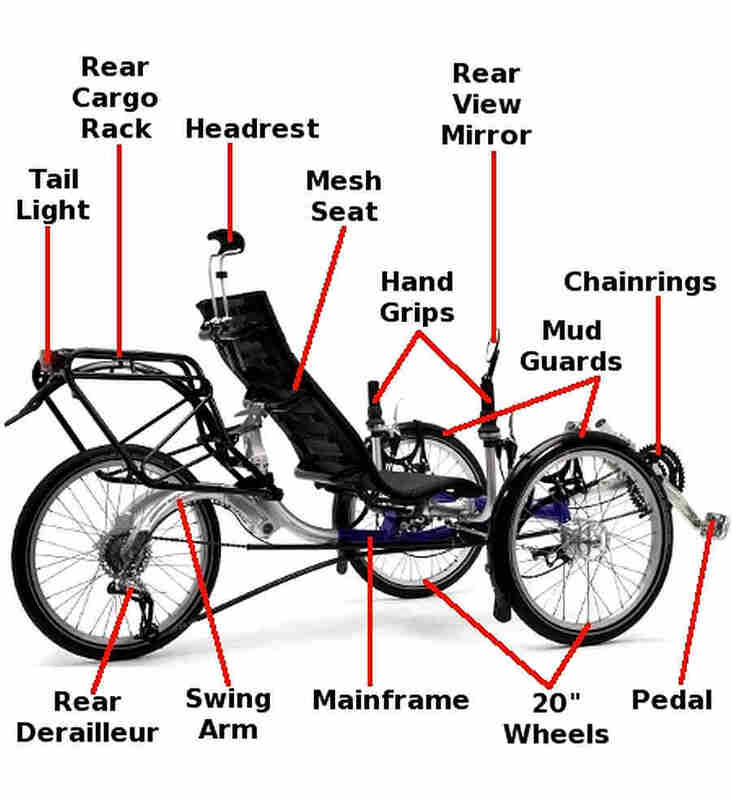 But first let’s start out with a video produced by ICE trikes. 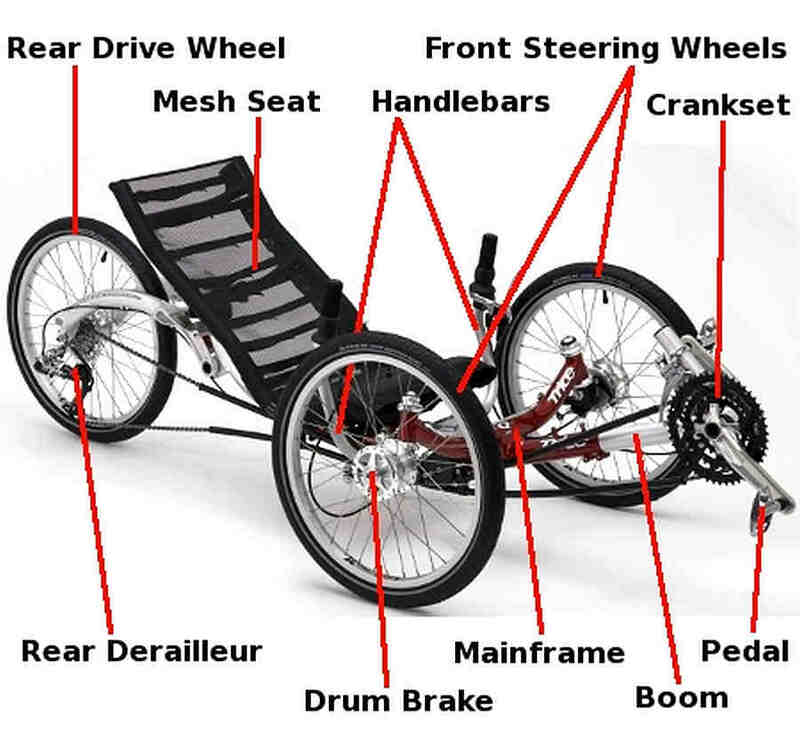 The first two images are of Greenspeed trikes. 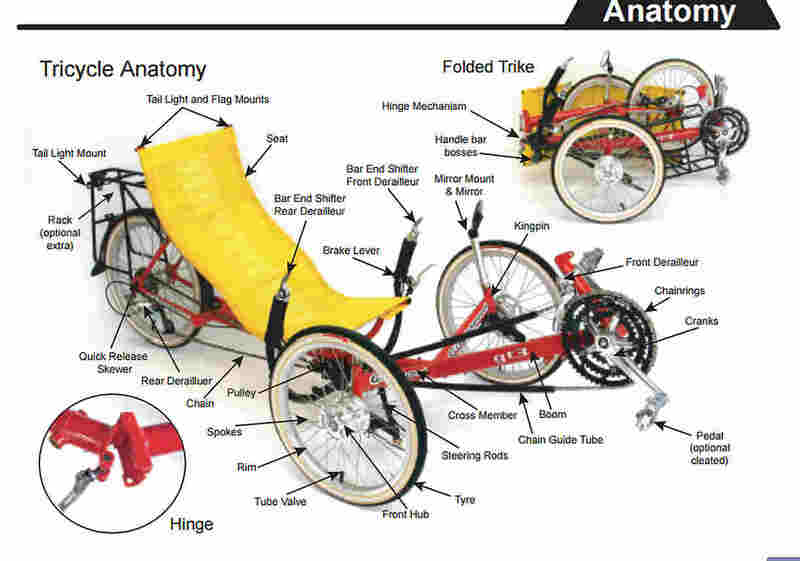 The rest of the images to follow are of ICE trikes. 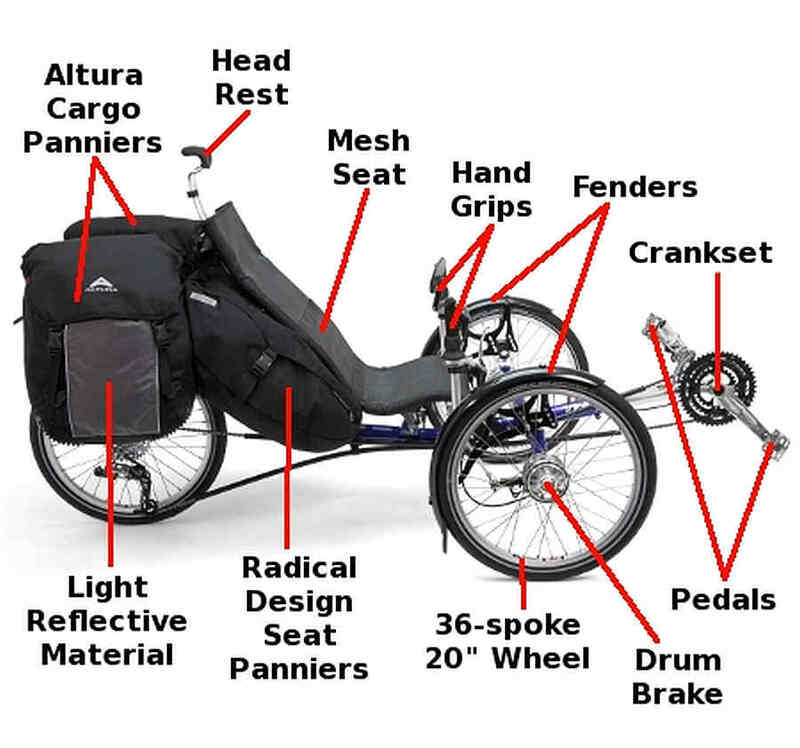 Where can I buy the racks to put my dogs in on the back of my recumbent bike .